The Bank of England has told some lenders to triple their liquid assets in case of a hard Brexit, according to the FT. Lenders have quadrupled their easy-to-sell securities to 1 trillion pounds over a decade. Standby central bank funds provide extra armour in a no-deal scenario. A pedestrian shelters under a Union Flag umbrella in front of the Bank of England, in London, Britain August 16, 2018. UK lawmakers are expected to vote on March 12 on whether to accept Prime Minister Theresa May’s divorce deal from the European Union. 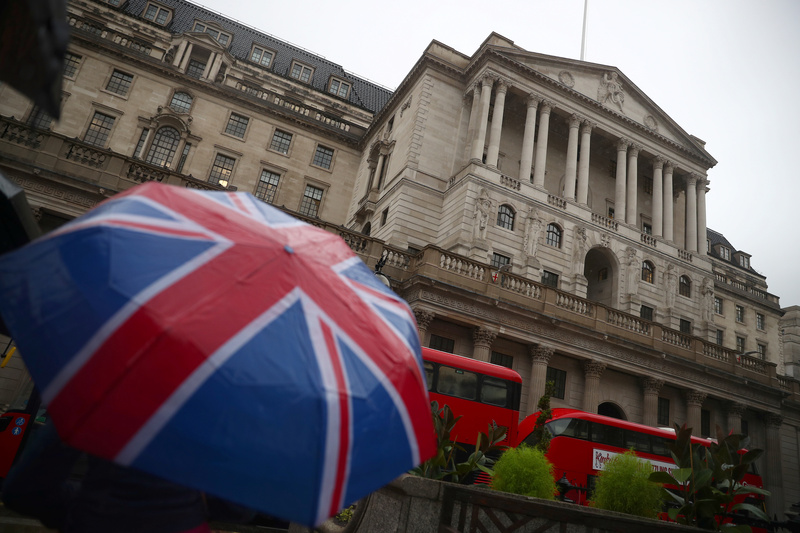 The Bank of England has told some UK lenders to triple the amount of easy-to-sell assets they hold to help them weather any no-deal Brexit crisis, according to an article in the Financial Times on March 10, citing people familiar with the situation. The BoE has told some lenders to hold enough liquid assets to be able to cope with stress of 100 days, instead of the regular 30 days that the BoE's Prudential Regulation Authority rules demand, the FT reported.